I stumbled upon this Charles Bukowski quote sometime last week during my end-of-day scroll through Pinterest and something about it resonated deeply with me. I find myself succumbing to the notion that women are meant to constantly look 'pretty' or 'nice' and forgetting that our humanity lies somewhere much deeper than that, shrouded by vain attempts to perpetuate the illusion that we are not flawed. Instagram is one of my favourite social media platforms - a place where I can find inspiration from around the world, from different people, and for different topics. However, it saddens me to recognize that it is also a place where false gods are emboldened, with their perfect makeup, impeccable sense of style, and coveted lifestyles. 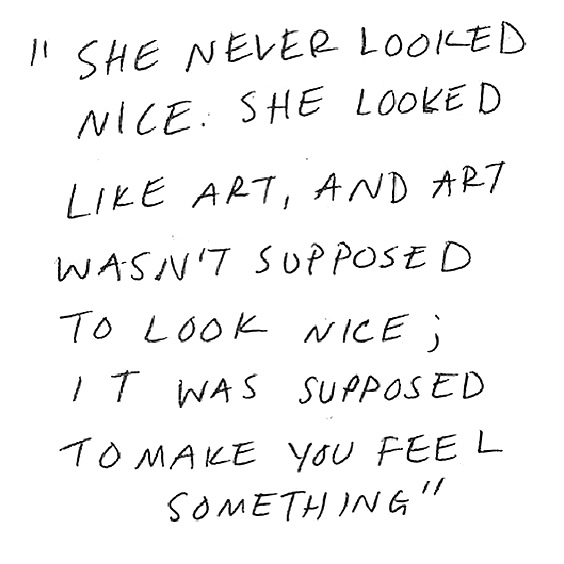 It is unacceptable now to not look nice in every sense of the word. Followers, likes, subscribers; all seem to hinge on not whether they are made to feel something by the creator's work, but whether it's pleasing to look at. The eye must move effortlessly over a picture that's an aesthetic copy of another because familiarity is key. The poor, unsuspecting viewer mustn't be jolted by an unaltered image of life in its actuality. This might be a bit hyperbolic, but the sentiment is still there - I am disappointed to realize that beauty, even in today's more aware social climate, is still contrived and repetitive. Too many times have I searched for inspiration and been inundated with images of something I've seen before. The personas are blending together and I can't keep track of them all. This isn't to say that imitation is inherently bad; on the contrary, the ability to absorb inspiration and reproduce it in your own way is an art in itself. However, the time has come to admit that things have gone too far. One of my goals for 2018 is to take a step back and analyze why I play an audience to the things that I do and to stop them from getting inside my head, rupturing my sense of self and my own endeavours. My days shouldn't be spent watching the creative factory farm that is Instagram, but rather creating my own art and sharing it, whether traditionally nice looking or not. Reality is already interesting enough, there's no reason to alter it.